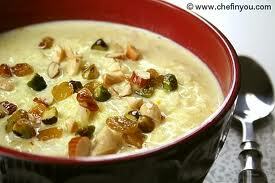 The term Kheer (used in North India) is derived from Sanskrit words Ksheeram (which means milk). Other terms like Payasa or Payasam (used in South India) or payesh (used in Bengal region) are derived from the Sanskrit word Payas which also means “milk”. 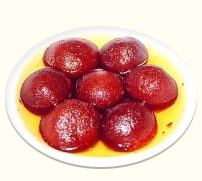 It is prepared using milk, rice, ghee, sugar/jaggery, Khoya. Some also add a little bit of Heavy Cream to give it more richness in taste. 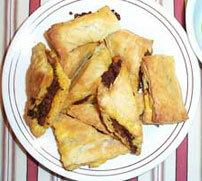 It is often garnished using almonds, cashews, raisins and pistachios. It is an essential dish in many Hindu feasts and celebrations. While the dish is most often made with rice, it can also be made with other ingredients such as vermicelli (sayviah). A crunchy sweet and juicy pancakes dipped in syrup. 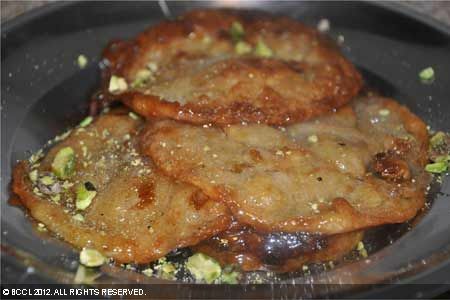 Malpua is prepared by mixing ripe bananas and coconut with flour, and milk and delicately seasoned with cardamoms. It is deep fried in oil, and served hot. 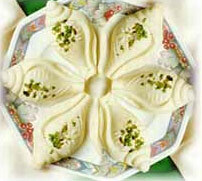 One of the most juicy and mouth watering sweet made with flour and milk (khoya). 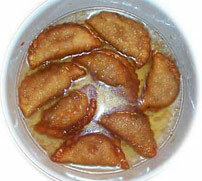 A Bengali specialty. Server usually during special festivals. It takes time to prepare but it is worth it. Deep fried paneer & khoya balls in syrup. An all time favorite. Goes as a great dessert along with misti doi (or sweet yogurt). 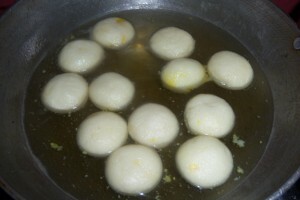 Most favorite Bengali Sweet made with Paneer (Chana) — Large Rosogollas Stuffed with Kheer.